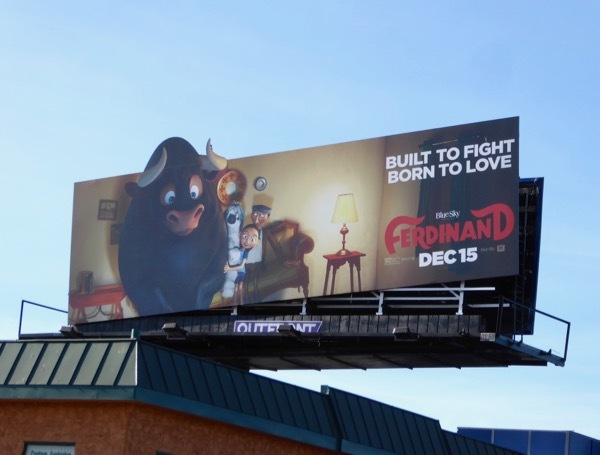 Every holiday season you can always depend on an animated tale at the box office to provide some good old fashioned family fun, and this year's festive star is Ferdinand. 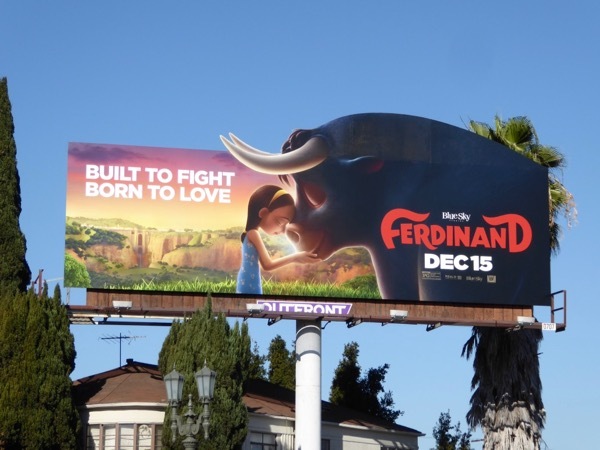 The young bull in question (voiced by John Cena) grows up with his friend 'Nina' on a farm in rural Spain, when one day because of his size and mistaken ferocity he's spirited away to be trained to battle matadors in the bullfighting arena. 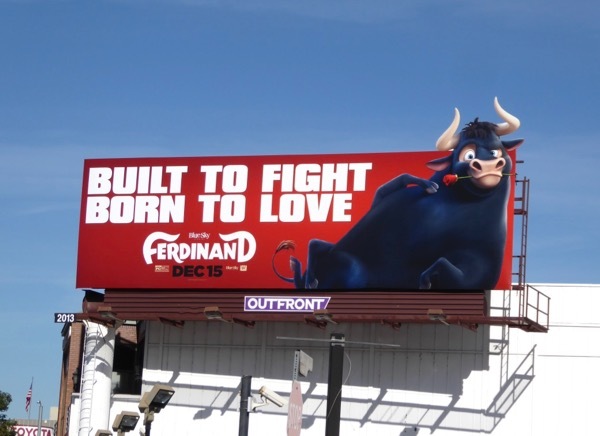 This bull with a big heart is a lover, not a fighter, so to get back to his adopted family he recruits a band of animal misfits to help him escape. 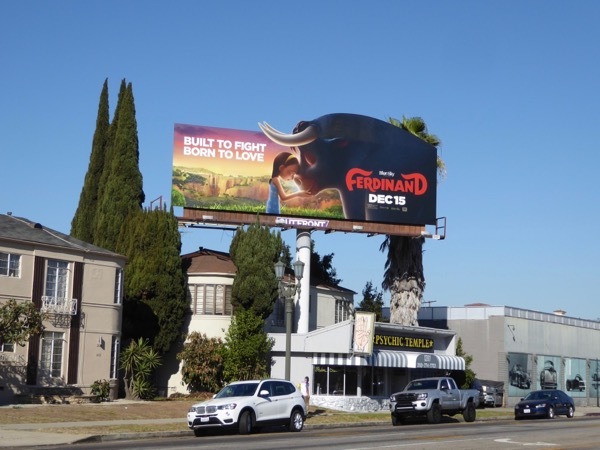 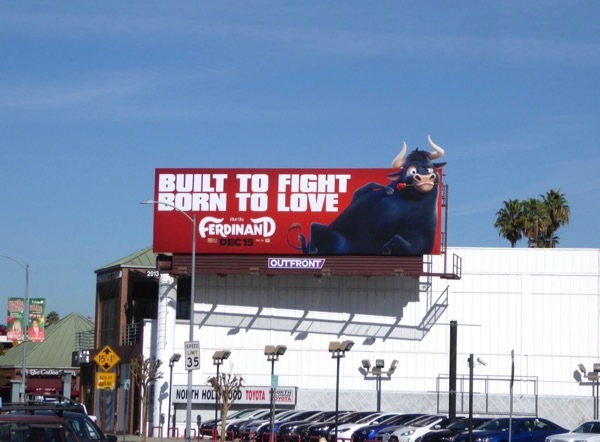 These sweet and fun billboards for the animated feature were snapped along Lankershim Boulevard, Pico Boulevard and La Cienega Boulevard from November 28 to December 1, 2017. 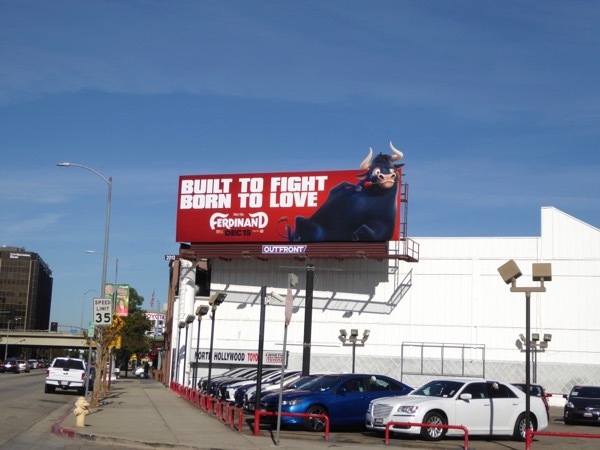 For another eye-catching bull-themed ad creative be sure to also check out this Jackass 3D movie billboard, plus for another tilted billboard example you can also enjoy this billboard for The Haunting Hour. 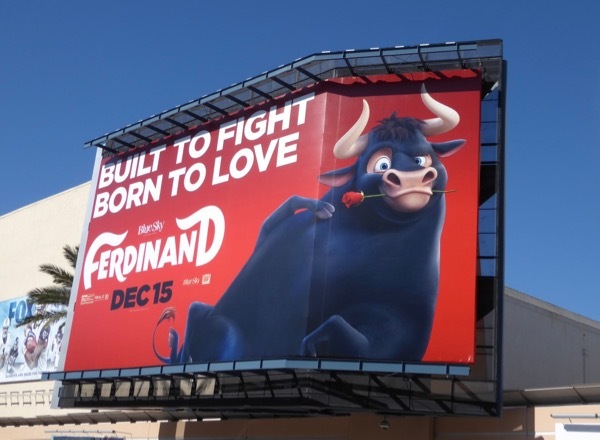 This big screen adaptation of The Story of Ferdinand children's book by Munro Leaf and Robert Lawson should supply a welcome animated alternative for parents with kids too young to enjoy this weekend's other big opening, Star Wars: the Last Jedi.